Is it true to say that Islam was spread by the sword? So that Muslims are supposed to live in peace with each other and to practice spreading peace to mankind at large. Before Islam was introduced to the Arabs they used to pass each other with drawn swords; but when they accepted the teachings of the Prophet (pbuh) they used to pass each other with their right hand extended to shake the brother’s hand and they both greeted each other with peace. From the very beginning of his life, he propagated love, the spirit of caring and sharing and compassion. When he was persecuted he never retaliated; he forgave his enemies and prayed for those who caused difficulty to him personally. It is therefore incorrect to say that he preached with the Book in one hand and the sword in the other. His personality was so magnetic that he was able to win over the people with his refinement and love and goodness of his heart. 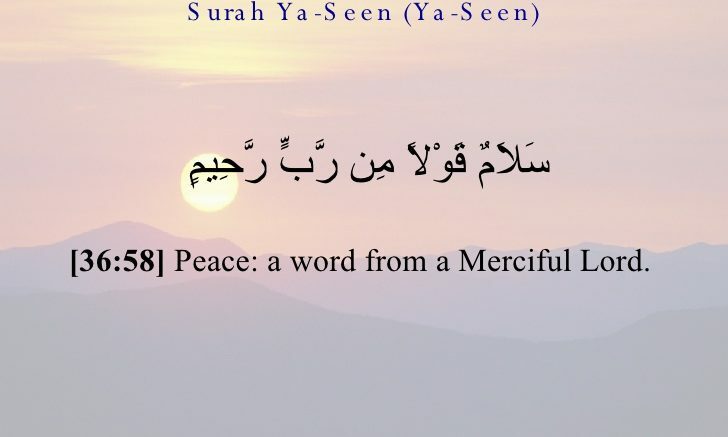 Be the first to comment on "The Word from a Merciful Lord, is PEACE"